Lila, homeless and alone after years of roaming the countryside, steps inside a small-town Iowa church—the only available shelter from the rain—and ignites a romance and a debate that will reshape her life. She becomes the wife of a minister, John Ames, and begins a new existence while trying to make sense of the days of suffering that preceded her newfound security. 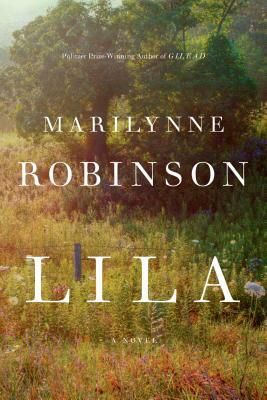 MARILYNNE ROBINSON is the author of the novels Home, Gilead (winner of the Pulitzer Prize), andHousekeeping, and four books of nonfiction, When I Was a Child I Read Books, Mother Country, The Death of Adam, and Absence of Mind. She teaches at the University of Iowa Writers’ Workshop. The paperback of Lila will be released on October 6th, and is available for pre-order now! A crime-mystery-thriller that takes place within the Mormon church. Linda Wallheim is a devout Mormon, the mother of five boys and the wife of a bishop. One cold winter night, a young wife and mother named Carrie Helm disappears, leaving behind everything she owns. Carrie’s husband, Jared, claims his wife has always been unstable and that she has abandoned the family, but Linda doesn’t trust him. As Linda snoops in the Helm family’s circumstances, she becomes convinced that Jared has murdered his wife and painted himself as a wronged husband. Mette Ivie Harrison is the author of numerous books for young adults. She holds a PhD in German literature from Princeton University and is a nationally ranked triathlete. A member of the Church of Jesus Christ of Latter-Day Saints, she lives in Utah with her husband and five children. 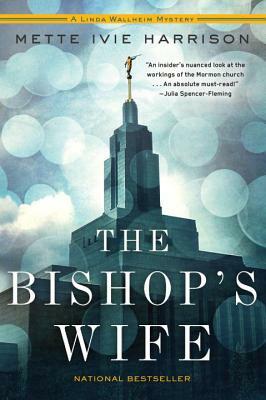 The paperback of The Bishop’s Wife will be released on October 6th, and is available for pre-order now! The story is told from two perspectives: those of George, a pedantic 16-year-old girl living in contemporary Cambridge, and Francesco del Cossa, an Italian renaissance artist responsible for painting a series of frescoes in the ‘Hall of the Months’ at the Palazzo Schifanoia (translated as the ‘Palace of Not Being Bored’ in the novel) in Ferrara, Italy. Two versions of the book were published simultaneously, one in which George’s story appears first, the other in which Francesco’s comes first. 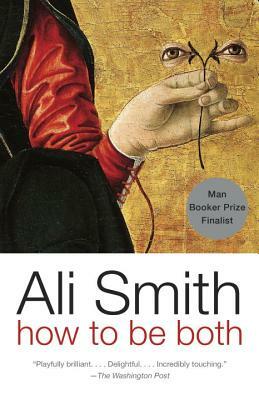 ALI SMITH is the author of nine previous works of fiction. Her 2005 novel The Accidental won the Whitbread Award and was shortlisted for the Man Booker Prize and the Orange Prize. Her story collections include Free Love, which won a Saltire Society First Book of the Year Award and a Scottish Arts Council Award, and The Whole Story and Other Stories. She lives in Cambridge, England. The paperback of How to be both will be released on October 13th, and is available for pre-order now! 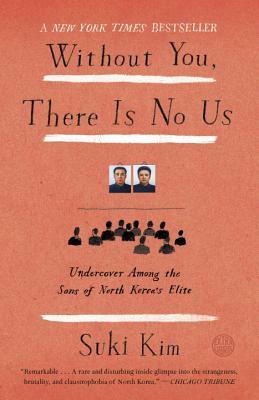 This non-fiction book by Korean American author and journalist, Suki Kim, is about her six months in North Korea as an English teacher to the son’s of North Korea’s elite class. It is 2011, and all universities in North Korea have been shut down for an entire year, the students sent to construction fields—except for the 270 students at Pyongyang University of Science and Technology (PUST), a prison-like complex where portraits of Kim Il-sung and Kim Jong-il look on impassively from the walls of every room. Over the next six months, she will live under the watchful eye of the regime, her letters being read by the censors as she hides notes and photographs from both her minders and her colleagues. SUKI KIM is the author of the award-winning novel The Interpreter. She has been traveling to North Korea as a journalist since 2002 for the New York Times, Harper’s, and the New York Review of Books. The paperback of Without You, There Is No Us will be released on October 13th, and is available for pre-order now! Madeleine Altimari is a smart-mouthed, rebellious nine-year-old who also happens to be an aspiring jazz singer. Still mourning the recent death of her mother, and caring for her grief-stricken father, she doesn’t realize that on the eve of Christmas Eve she is about to have the most extraordinary day—and night—of her life. After bravely facing down mean-spirited classmates and rejection at school, Madeleine doggedly searches for Philadelphia’s legendary jazz club The Cat’s Pajamas, where she’s determined to make her onstage debut. On the same day, her fifth-grade teacher, Sarina Greene, who’s just moved back to Philly after a divorce, is nervously looking forward to a dinner party that will reunite her with an old high school crush, afraid to hope that sparks might fly again. And across town at The Cat’s Pajamas, club owner Lorca discovers that his beloved haunt may have to close forever, unless someone can find a way to quickly raise the $30,000 that would save it. Marie-Helene Bertino is the author of Safe as Houses, winner of the Iowa Short Fiction Prize. An Emerging Writer Fellow at New York’s Center for Fiction, she has spent six years as an editor and writing instructor atOne Story. A Philadelphia native, she currently lives in Brooklyn. 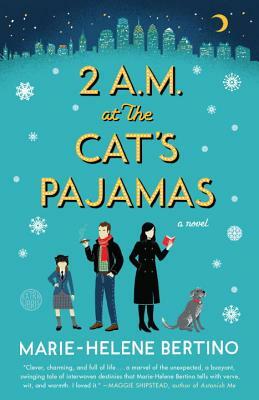 The paperback of 2 A.M. at The Cat’s Pajamas will be released on October 27th, and is available for pre-order now. 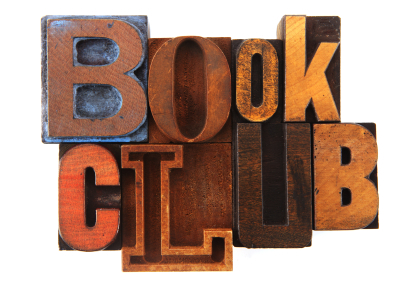 Book Club Event Pick for August! 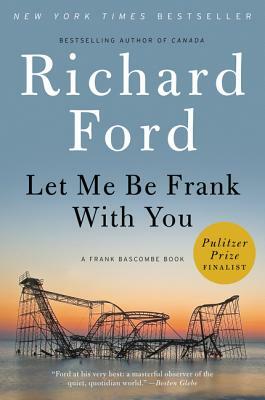 Richard Ford is the author of the Bascombe novels, which include The Sportswriter and its sequels, Independence Day–the first novel to win the Pulitzer Prize and the PEN/Faulkner Award–and The Lay of the Land, as well as the short story collections Rock Springs and A Multitude of Sins, which contain many widely anthologized stories. He lives in Boothbay, Maine, with his wife, Kristina Ford. If you are unable to attend the event you can still get a signed book! Just order the book on BookPeople.com and type “signed copy” in the comments field upon checkout! Now that we’re heading into the cooler months, I thought we’d ease into it with something a little more on the robust side, but not too robust. This 2012 Côtes-du-Rhône is a 70% Syrah and 30% Grenache from the southern Côtes-du-Rhône. Give this solid little number the respect of a little decanting to gain the most bang for the buck: classic southern Côtes-du-Rhône aromas of red and dark berry fruits with hints of spice and orange peel. It is ample, medium in body, finishing with mouthwatering flavors of spicy, stony red and black fruits. Next Post JUST BOOKED: Ethan Hawke is Coming Nov. 24th!